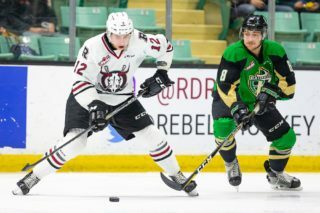 They’re losing the war but the Red Deer Rebels can take solace in the fact that they won some battles in Game 2 of their WHL Eastern Conference quarter-final Saturday in Prince Albert. 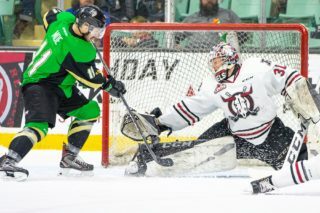 The Rebels found a way to get four pucks past Raiders and Team Canada netminder Ian Scott, with three of them coming courtesy of a power play that struggled mightily through lengthy stretches during the second half of the season. 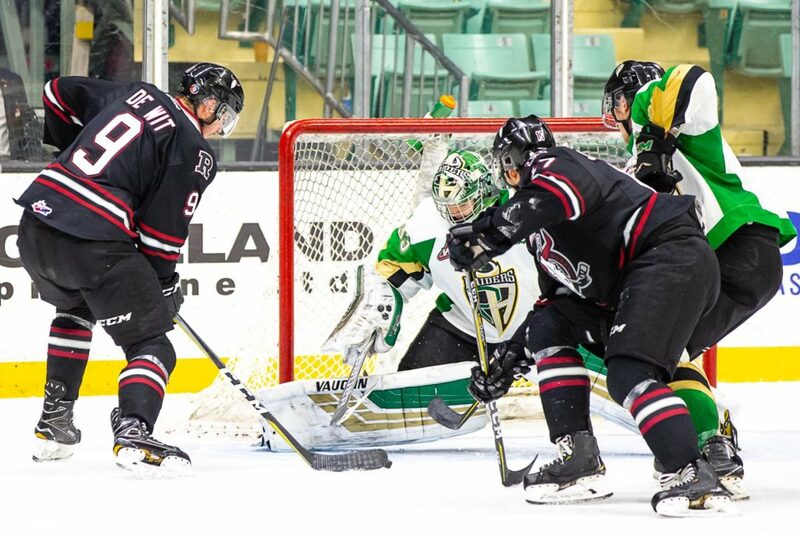 The offensive outburst occurred 24 hours following Red Deer’s 3-0 opening-game loss, a game in which the Rebels were impressive defensively and held the Raiders to a single shot in the third period. Unfortunately, Sunday’s offensive breakthrough was accompanied by several defensive breakdowns that resulted in a 6-4 setback and a 0-2 series deficit. for Game 3 Tuesday at the Centrium. “Any playoff game in which you score four goals, you should win that game,” Rebels forward Jeff de Wit said Monday. 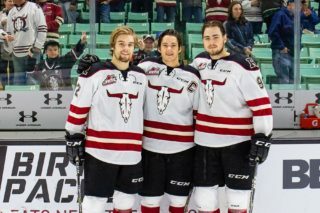 The Raiders, ranked second in the final CHL top-10 rankings, were not only the WHL’s best team during the regular season, but also surrendered the second-least amount of goals. 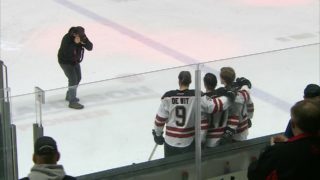 “Credit to them, they played great in Prince Albert,” said de Wit. “Their defence has been solid, their whole team has been solid. 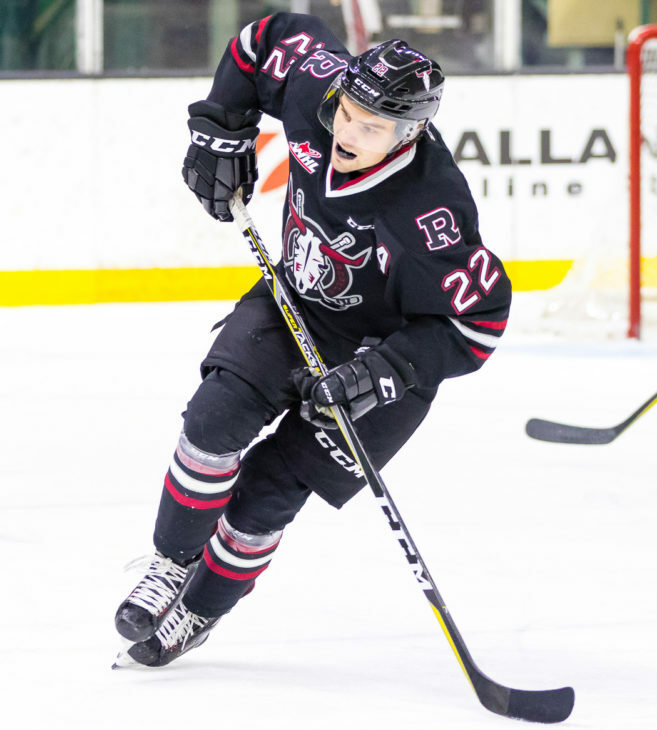 Brandon Hagel, who scored three times in Sunday’s loss, insisted the Rebels still have time to correct the negatives in their play while focusing on the positives. “That’s why it takes four games to win a series — you have to figure out other teams,” he said. “Maybe it’s taken us a little longer, but I think we know what we have to do. Hagel, like de Wit, gave the Raiders credit for taking command of the best-of-seven series on home ice. 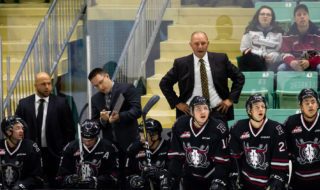 If Sunday’s man-advantage performance is a harbinger of things to come, the Rebels will be that much better off in the next two contest, including Game 4 Wednesday at the Centrium. Hagel also credited de Wit for standing his ground in front of Scott during the power plays. The mood in the Red Deer locker room is still one of confidence, Hagel stressed, especially being back at home. Games 5 through 7 — if necessary — are slated for Friday in Prince Albert, Sunday at the Centrium (2 p.m. start) and Tuesday in P.A.